Earn $47.72 in Rewards credit (4772 points) What's This? 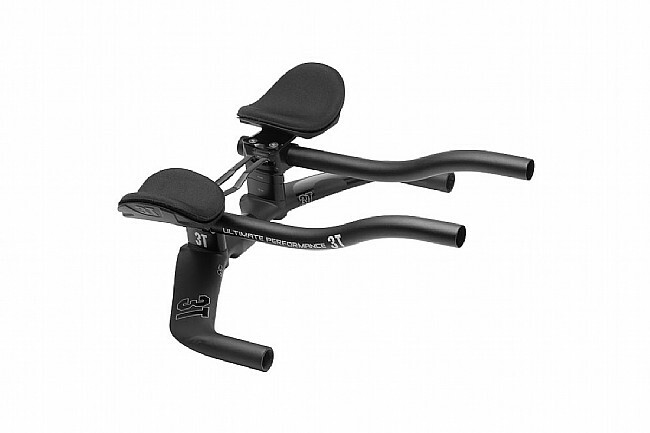 3T's Vola Team Stealth Carbon Aerobar combines a standard stem for the widest range of set-ups, lots of stack, width, and reach adjustment with supremely comfortable elbow pads -- 3T's best pads yet. 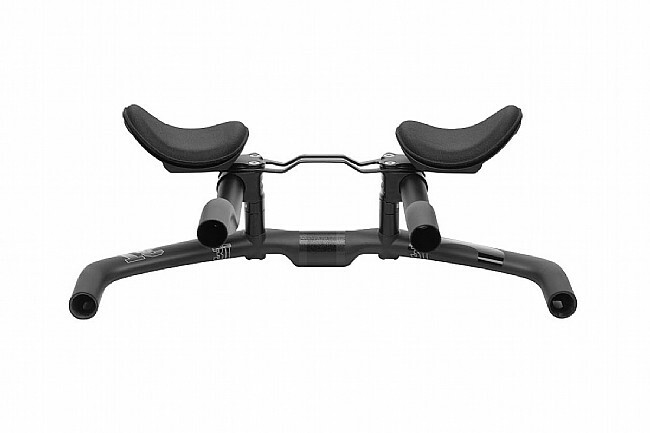 The extensions can be either under or above the wing to allow for a superlow position or more comfort. 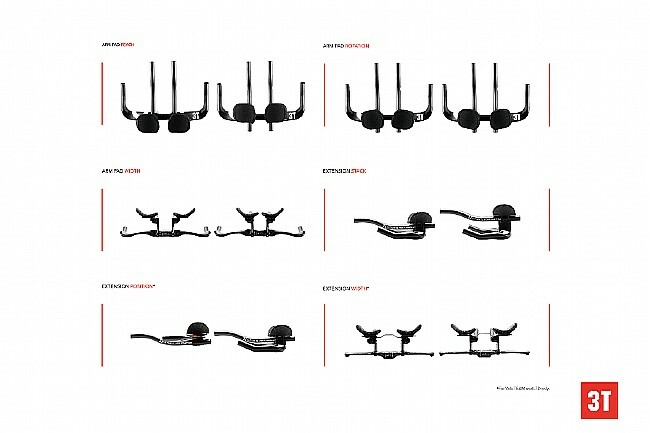 Grip spacing can also be adjusted to personal preferences. 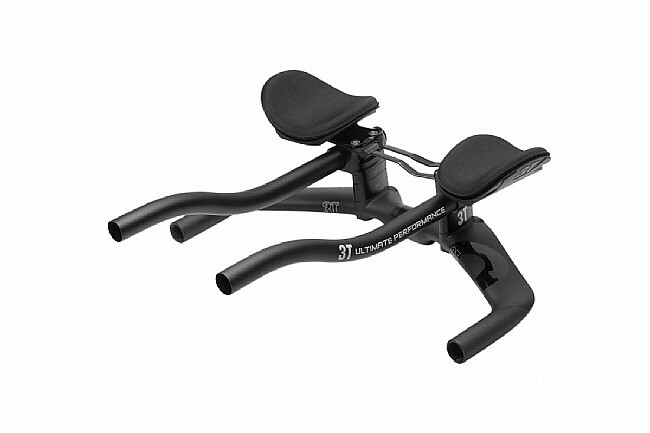 3T's new Comfort cradle and pads position the elbows exactly where they need to be while comfortably supporting them so you can maintain your aero position without any trouble. 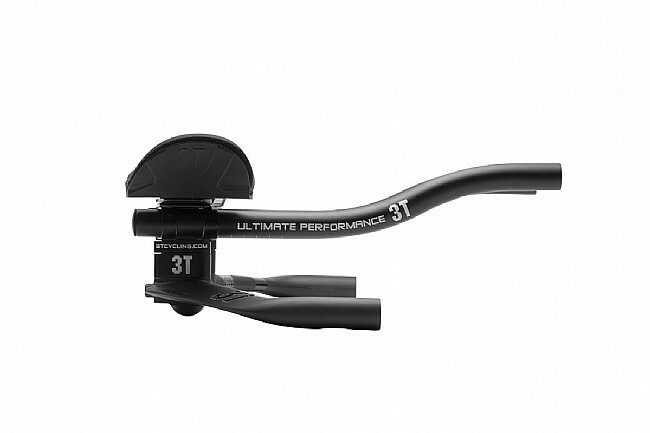 Base bar width (c-c): 380mm.